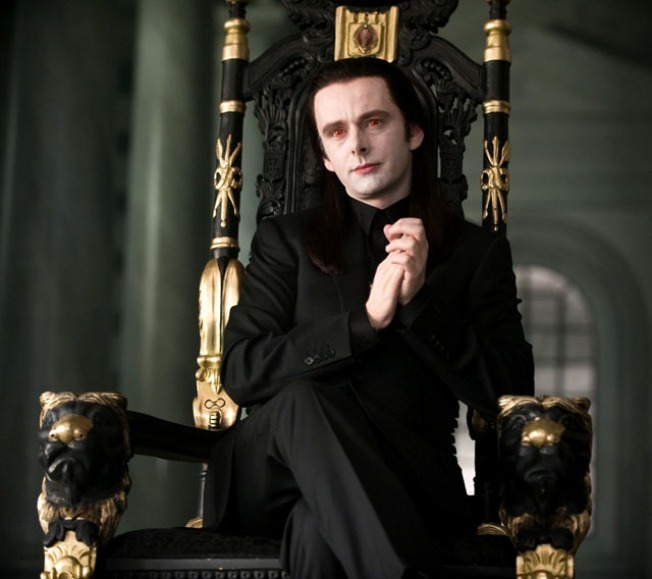 Michael Sheen plays Aro, de facto king of the vampire world in the "Twilight" world. Thousands of fans camped out in Westwood for a week, magazines featuring Twilight stars are flying off the shelves, and the midnight showing of New Moon broke box office records. But how do R-Patz and K-Stew know they’ve really arrived? When the Vatican has something to say. The Vatican has released its review of the latest installment in the vampire saga, and it’s not good. In fact it's “deviant” and a “moral vacuum.” That hurts more than a werewolf bite. The governing body of the Roman Catholic Church objects to the supernatural references in the Twilight series. "This theme of vampires in Twilight combines a mixture of excesses that, as ever, is aimed at young people and gives a heavy esoteric element," said the Vatican's culture council leader, Monsignor Franco Perazzolo. Sorry Rob and Kristen, it seems not everyone loves Twilight after all.